What does the typical ad tell you about the real skill, experience and proven ability of the lawyer? Not much. "But wait," you may say, "what about the lawyer who says "millions recovered?" That may only tell you that the lawyer has been getting modest results that, after many years, total a few million dollars. Or, that he had some clients with huge damage claims that he settled for less than a fair and just amount. We have seen it happen. But, you say, "what about the ads that say the lawyer has recovered more than $5 million, or $10 million, or $30 million, surely that's impressive?" Not really. We have recovered far more than these amounts for our clients, but we do not recommend that you select an attorney be selected for this reason alone. Many attorneys say they represent their clients with unsurpassed skill and tenacity. In order to find the best attorney for your situation, however, you should not simply rely on what an attorney says about himself. A better way of narrowing your search is to find attorneys who are highly rated by other attorneys who regularly see their legal work and know of their professional skills. The oldest attorney peer review organization in the country is Martindale-Hubbell. Through confidential peer review reports, Martindale-Hubbell assigns a ranking to attorneys for both ethical standards and legal ability. An attorney cannot receive a ranking for legal ability unless they first receive a "very high" rating for ethical standards. Legal ability rankings include "C" for "good to high," "B" for "high to very high," and "A" for "very high to preeminent." Identifying "A-V" rated attorneys is a good way to narrow your search for effective legal counsel. Another well respected peer-review publication is Best Lawyers in America. That organization states that it "compiles lists of outstanding attorneys by conducting exhaustive peer-review surveys in which thousands of leading lawyers confidentially evaluate their professional peers." It further states that "a listing in Best Lawyers is widely regarded within the legal profession as a signal honor." Locating attorneys listed in Best Lawyers in America is another independent means to evaluate attorneys without having to rely on what attorneys say about themselves. Once you have narrowed your search, you then need to meet personally with prospective counsel to determine if they are a good personal and professional fit for your legal needs. The attorneys at the Alaska Personal Injury Law Group - Mr. Moody, Mr. Vollertsen, and Mr. O'Donnell - are all rated "A-V" by Martindale-Hubbell and are also all listed in Best Lawyers in America. In addition, Mr. Moody is a fellow in the prestigious International Academy of Trial Lawyers, an invitation-only organization limited to 500 of the best attorneys in the United States. Mr. Vollertsen and Mr. Moody are also listed as Alaska Super Lawyers in 2007, the first year of its publication. A proven track record of success is a key factor in selecting a good attorney. It indicates you are hiring an experienced attorney who has the legal skills and personal drive necessary to prepare and prosecute a case to a successful conclusion. A proven history of past success is also important because such an attorney will likely have a reputation in the legal community for effective and successful legal work. Hiring an attorney with a reputation for skillful trial work and past successes is critically important when convincing a defendant that it should pay full and fair value for a claim in settlement before trial. Only a credible threat that you and your attorney will go to trial if necessary will convince a defendant that, if they do not settle, they will likely have to pay the same amount or more at trial. 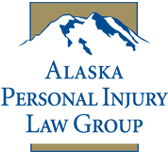 The attorneys at the Alaska Personal Injury Law Group - Mr. Moody, Mr. Vollertsen, and Mr. O'Donnell - have 85 years of collective experience as trial attorneys in Alaska. They have obtained some of the largest verdicts in the history of the state, often in tough cases other lawyers declined. Their representative cases are a proven track record of success. Whether it involves drafting a will, setting up a business, or filing a complex personal injury action, you should ask questions to determine whether the attorney you are considering hiring has substantial experience in that area of the law. If the attorney you are interviewing does not, ask them for a referral to someone who does. If your legal problem will involve litigation, make sure the attorney you are considering has successfully handled cases in court. The attorneys at the Alaska Personal Injury Law Group will be happy to discuss your situation confidentially without charge and answer your questions about their experience in that area of the law. If they cannot provide you with the highest level of legal representation for your particular claim, they will provide you with referrals to other attorneys who may be able to help you. When selecting an attorney, be certain to consider the attorney's ability to finance the litigation. This is particularly true in contingency fee cases. Litigating against an insurance company, product manufacturer or other large company can be a lengthy, complex, and expensive process. To successfully prosecute the claim, your attorney will likely have to advance considerable costs for expert witnesses, doctor testimony, investigators, forensic analysis, court reporters, travel expenses, medical injury illustrations, computer simulations and other exhibits. Your attorney must not only have the legal ability - but also the financial resources - to successfully wage a protracted, expensive legal battle against well-funded defendants. As the personal injury practice group within the Alaska law firm of Atkinson, Conway & Gagnon, the attorneys at the Alaska Personal Injury Law Group have the economic strength, technological assets and trained support staff to litigate against large corporations and major insurance companies. They have demonstrated that ability for the past three decades. Your attorney should be accessible. He should be willing to answer any questions you have at any time during the litigation. He should promptly respond to your calls and inquiries. Your file and your cost accounting should always be available for your review during the litigation. The attorneys at the Alaska Personal Injury Law Group will carefully explain the litigation process to you and keep you informed throughout the case. We will consult with you in all major decisions in the litigation. We understand that this is your case and that we have been hired to vigorously and diligently serve your interests. All professionals have varying degrees of experience and skill. As in many occupations, there are a number of attorneys who are excellent at what they do and stand out above the crowd. Ask yourself whether the attorney is professional in his or her appearance, and whether the office appears to be professionally organized and run. Try to determine whether the attorney you are meeting has the level of professionalism your legal matter deserves. At the Alaska Personal Injury Law Group, we recognize that we act as the legal representatives of our clients. We act on their behalf in a professional and ethical manner. Not only is this the right thing to do, but it also favorably reflects on their cases and, we believe, ultimately adds value to their claims. Copyright © 2018, Atkinson Conway & Gagnon, Inc.